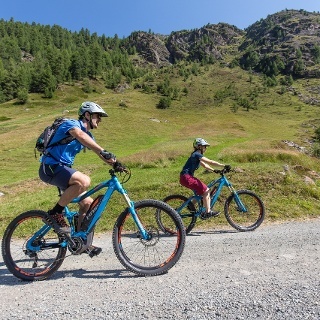 The mountain bike tour to Lenzenalm is of intermediate difficulty and therefore also suitable for less experienced bikers. The tour's 500 meters of altitude gain have to be conquered on the permanently climbing ascent route which is not too steep. 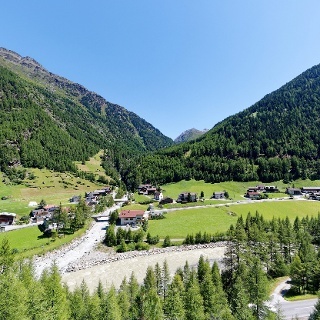 Starting in Sölden, you follow the Ötztal federal road and turn right before you reach the BP petrol station. The climbing road leads through the hamlets of Außerwald and Innerwald, then further on to the Glacier Road. 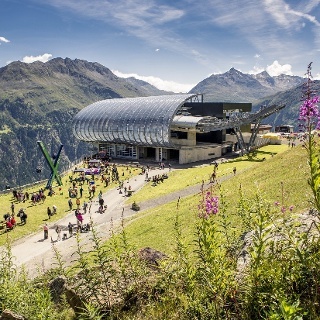 Before you get to the ski run's overpass, you turn left into the forest trail which takes you through the industrial area to Sölden's recycling plant. From there you continue slightly downhill on the federal road to Zwieselstein. In Zwieselstein you cross Venter Ache brook and continue on the switch-backing gravel trail. After a short track you turn right into the gravel trail towards Lenzenalm. Although the route doesn't become steeper the ascent is hard work for your muscles – your heart rate will increase! After about 7 kilometers you finally reach quaint Lenzenalm at 1852 m above sea level. 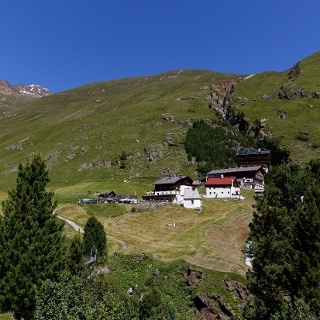 The serviced mountain hut boasts two sunny terraces and awesome panoramic views of the Ötztal Alps. Opposite you can make out the winding Timmelsjoch Road, one of the Alps' highest pass roads. Return to Sölden on the ascent route. 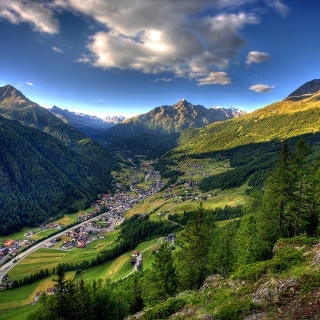 Ideale E-Bike & Hike Tour! 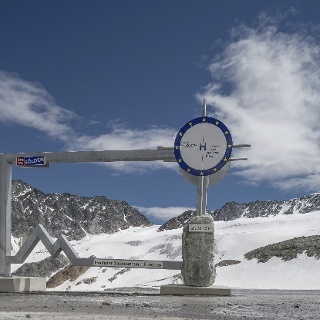 Bequeme Auffahrt zur Lenzenalm und anspruchsvolle Wanderung zum Nederkogl auf 3.163 m.
Achtung: Tour verläuft teilweise auf der vielbefahrenen Ötztaler Bundesstraße! From Zwieselstein's bridge over Gurgler Ache brook you proceed towards the church, along the ascending trail across the woods in direction of the federal road to Gurgl. Follow the signposts to Lenzenalm on a broad and permanently rising path. An alternative but steeper footpath leads from the federal road (signposts) to the mountain inn.